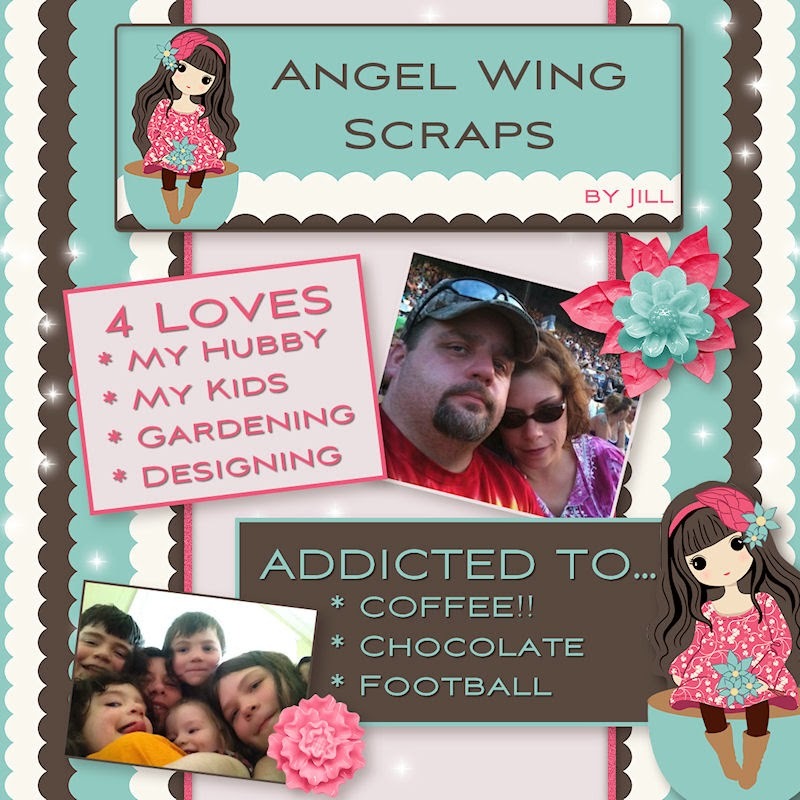 MyMemories Blog: Meet today's Daily Designer....Angel Wing Scraps! Meet today's Daily Designer....Angel Wing Scraps! Hi! 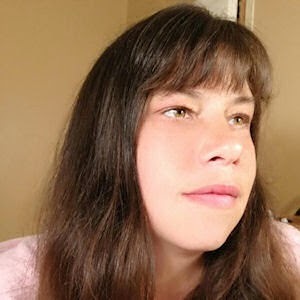 I am Jill or Angel Wing Scraps. I am also the wife of a truck driver (married 18+ years). And the mom of 5 kids. Yes, I said 5 and to those who ask, yes I am a bit crazy. LoL It definitely gets crazy around my house with my kids, 1 boxer doggy & 2 cats. I spend most of my day home-schooling 4 of my kids and chasing the 2 year old around the house. When I am not teaching, I am either baking, gardening or designing. I have degrees in accounting, but have found my true calling in design. It allows me to be creative and also be home with my kids. My most embarrassing moment was recently when we were all at church. I was sitting with my youngest and an elderly woman came up to me and asked if we needed the whole row. I politely said yes, that my other kids and husband would be joining me. They then started coming in and sitting down. As we filled up the row, the lady turned to me and said, "My dear, how do you have any color left in your hair with so many kids?" My husband said, my face turned red and all I could think to say was, "I don't know." But, I really do love my husband, my kids & my life. Sure days can be hard at times, but I would not give them up for anything. Oh my goodness! That story is hilarious! You answered with grace and i applaud you. i would have LOVED to have had SIX kids - three of each, boys & girls. i was fortunate to have two - one of each, but i made up for not having a house full of kids by teaching school, serving as Director of Christian Education at my church. i was always a busy babysitter when i was a teen. You go, Girl! Can you hear my applause?! Thanks for sharing.